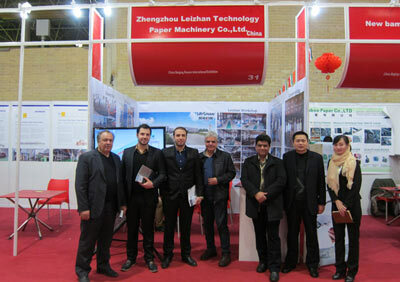 On December 23-26,Leizhan will attend the 22th IRAN PACK & PRINT SHOW at Tehran international exhibition center,Iran. Hope to meet you at the Exhibition. This year, Leizhan signed the contract to supply the whole 450T/24H paper stock preparation line and approach flow system for Iran Pardis Kaghaz Pazh paper mill. Leizhan has established good relationship with many customers. We have rich experience and deep research on supplying the suitable equipments and design customer-specific pulp and paper making solutions for our customer. Leizhan had attended the 2014 IRANPACK & Print exhibition and won the approval of many a customers for our high quality equipments and professional engineers. We welcome all of you come to visit our booth and communicate the latest technology and equipments on pulp and paper industry with our experienced salesmen and professional engineers.